A year after suffering a crushing loss to the Pioneers in the finals, the Bulldogs earned some payback. RB Alex Maldjian couldn't be stopped, as he rushed for 281 yards and four touchdowns in the 42-35 victory. The defending champion Renegades, who were just 2-6 when the playoffs began, scored a huge upset over the Thunderbolts, 28-26. QB Sammy Nieves was the top playmaker for South Plainfield, rushing for touchdowns of 41 and 66 yards. Overall, he rushed for 125 yards on just six carries, as the Tigers took down the section's defending champs. 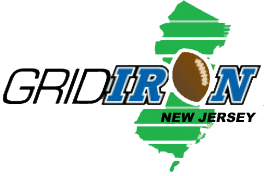 Here are the official playoff matchups for the NJSIAA/Rothman Orthopaedics playoffs, which begin Friday, November 2. Non-Public Groups 3 and 4 are being seeded by a committee, and will be posted here as soon as they are finished. Just one more game until the official playoff brackets are released. A complete explanation of power points, the United Power Ranking and how brackets are split up can be found in the NJSIAA's 2018 Football Regulations. Wide receiver Max Baker had seven catches for 113 yards and a score and also rushed for a three-yard touchdown as his Raiders beat Wayne Hills, 38-22. A year ago, Rumson-Fair Haven’s defense allowed just 13.8 points per game and routinely frustrated any team that tried to move the ball on them. And this year, somehow, they’ve come back even better. Despite being shrouded in controversy over the restoration of 1.03 seconds to the clock in the game’s waning seconds, the game was a classic, with Sayreville QB Mark Whitford hitting RB Jacari Carter for a 19-yard touchdown to give Sayreville the 13-12 victory. Lou Grasso knew as soon as he saw Andrew Sanborn throw a football that the youngster had the tools to be a great quarterback. Sanborn was, after all, slinging 40-45 yard bombs while play in Union’s middle school program. People in town talked about Sanborn’s potential; Grasso concluded the talk was justified. Quarterback A.J. Wingfield hit wide receiver Isaiah Savitt for a 25-yard touchdown in overtime as Ramapo rallied from a 35-20 deficit to win 42-35. Chet Parlavecchio, Jr. has literally been watching program turnarounds since he was two years old. His father and namesake, the current head coach at Passaic Valley, has built a career on restoring respectability to programs mired in tough times -- Bloomfield, Irvington, Passaic Valley, Clifton and Elizabeth, to be specific. Quarterback Ryan Yost led the way for the Spartans, throwing four touchdowns in the 28-3 victory over Hammonton. Before he’d ever coached a game in the Garden State, Josh Mason had already built a football program from the ground up. As the man who was the first-ever football coach at Paterson Mill High School in Maryland for its first seven years of existence, he knew what it was like to achieve success after starting with nothing. Williamstown won its third straight game to start the year, its defense performing another gem in holding Millville to just six points. In Clifton, history means a lot. Even through the program’s mostly disastrous period from the late 1980s to early 2000s, the Mustang faithful often held on to the days when their team was a powerhouse as source of pride -- and a reason for hope that better days were ahead. The Clifton backfield of senior QB Armani Brinson, senior RB David Martinez and junior RB Christian Boneparte combined for 325 yards on the ground as the Mustangs wore down Northern Highlands at the Pro Football Hall of Fame in Canton, Ohio. Somerville football was, quite frankly, in shambles before Jeff Vanderbeek arrived in 2015. A co-head coach in 2015, the former New Jersey Devils owner assumed sole control of the Pioneers the next season and was tasked with turning around a program that had gone 4-36 over the previous four years. The Pioneers endured a painful 1-9 campaign last season, but looked like a much-improved team in their season opener, downing defending Central, Group 1 champion Middlesex, 27-19. As hard as it is to believe, football is just days away in New Jersey. And with so many changes changes on the horizon, the 2018 season will be nothing like we've ever seen before.